Why All the "Buzz" About Beeline Creative? Geeki Tikis! comes making toys and collectibles that appeal to kids and grownups alike. 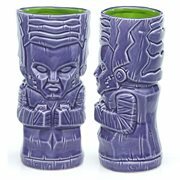 And one of Beeline's most popular products is its geeky line of uniquely shaped Star Wars, Marvel, DC Comics, and other themed mugs inspired by the Tiki culture. Made of ceramic and top-shelf dishwasher and microwave safe, they tend to run about 7-inches tall and usually hold about 14 to 16 ounces, but other sizes do appear as well. So, if you're looking for really cool Rick and Morty, Avengers, Justice League, monsters, or whatever gifts for family, friends, or you, check out the fun assortment of mugs and other playful Beeline products below. You'll be glad you did! If you're not familiar with Beeline Creative, you're in for a treat! To start with, the company's motto is "Bee Creative!" You certainly can't beeat that when it comes making toys and collectibles that appeal to kids and grownups alike. 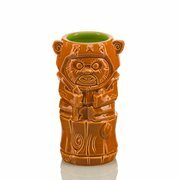 And one of Beeline's most popular products is its geeky line of uniquely shaped Star Wars, Marvel, DC Comics, and other themed mugs inspired by the Tiki culture. Made of ceramic and top-shelf dishwasher and microwave safe, they tend to run about 7-inches tall and usually hold about 14 to 16 ounces, but other sizes do appear as well. So, if you're looking for really cool Rick and Morty, Avengers, Justice League, monsters, or whatever gifts for family, friends, or you, check out the fun assortment of mugs and other playful Beeline products below. You'll be glad you did! 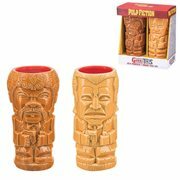 But Why Are They Called Tiki Mugs? About now, you might be asking yourself why these unusual Guardians of the Galaxy and other mugs are known by this very distinctive name. 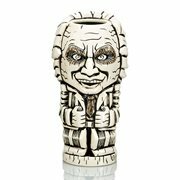 Well, in Maori mythology, Tiki was the first man, and by extension, a tiki is a wooden or stone carving in humanoid form. 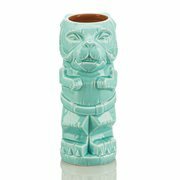 Carvings like these representing deified ancestors are found in most Polynesian cultures, but they may not look exactly like the Popeye or other drinkware you find here! More than Mugs from Beeline! Based in Southern California, Beeline Creative, Inc. is a toy and consumer products company that mixes the cool of a unique concept with the craft of a high-quality product to create a broad and entertaining assortment of mythical creatures mugs and other fun-filled items that include drinkware, barware, housewares, bobblehead dolls, action figures, plush, and novelties. Beeline develops and markets its own proprietary lines, as well as licensed product from the likes of Aquaman, Batman, Beetlejuice, Green Lantern, Iron Giant, Spider-Man, Wonder Woman, Star Trek and the other brands already mentioned above. So, there's a lot to choose from! Where Do You Find All This Great Stuff? Funny you should ask. (It's time for the "buy it here" pitch, so listen up, folks.) 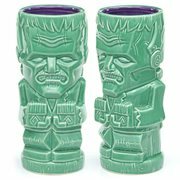 In addition to the other 30,000 plus items we offer on our website, Entertainment Earth is your go-to source for all the Game of Thrones and other TV, movie, and video game products your little heart desires… including those popular Tiki-themed mugs!